Being a heavy-duty machine, the GBS laminator can cope with any project you will throw its way. Plus, it gives more control over the items laminated as it features adjustable temperature and a wide range of pouch microns. Opt for this solid laminator if you are going to use it regularly. It is more expensive than others but it will last long showing great performance and excellent result. 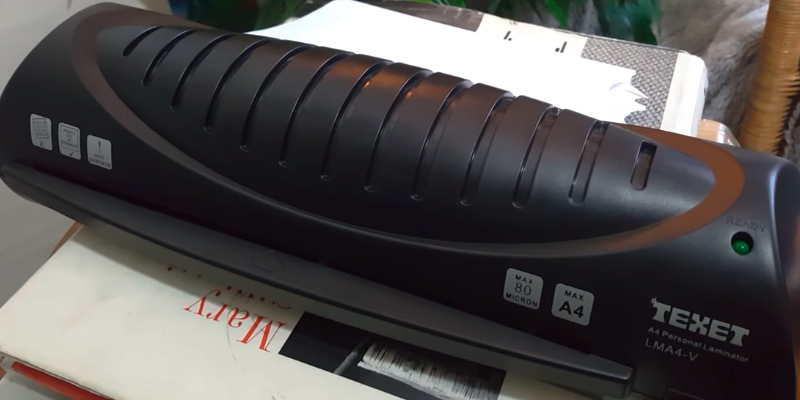 This compact and portable laminator is a good pick for home and office use. It has a relatively fast warm-up time of 2-3 minutes and four-roller jam-free technology that provides both cold and hot work of the machine with a high-quality result. The laminator is quite slow. 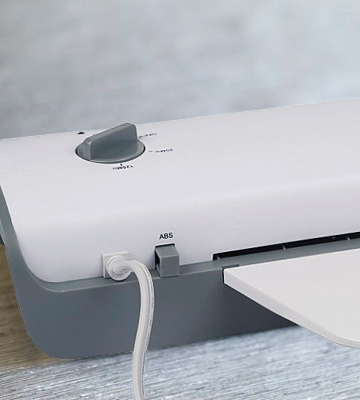 A nice and stylish laminator for regular use that possesses some features of professional laminators and can work with a wide range of documents. 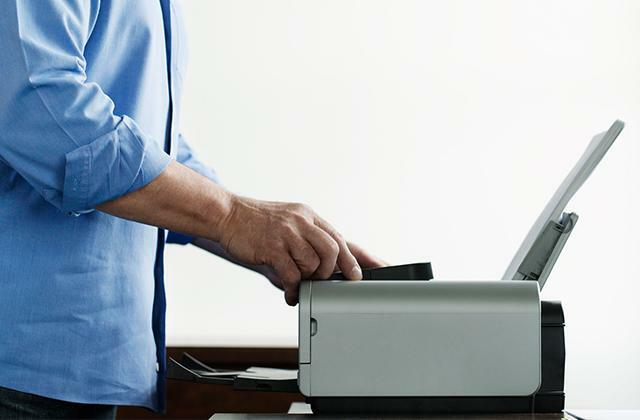 It is a reasonably-priced and user-friendly device that can provide both hot and cold lamination and prevent paper jam due to an ABS release Button. Plus, it can work with a wide range of pouches with a maximum width of A4 size paper. The Green Ready light is very faint. 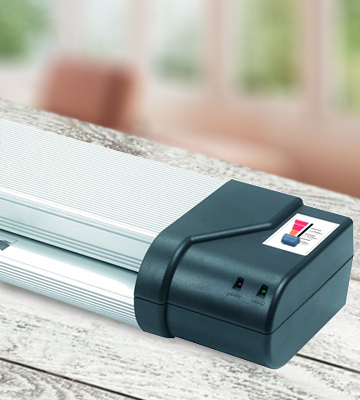 This sturdy and compact laminator will definitely find its place at your home or office to provide you with good quality. It is more suitable for occasional work. 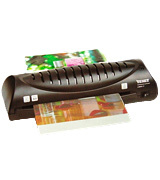 The Bonsaii laminator can work with documents of A3 size of different type. Cold lamination function allows working with heat-sensitive documents whereas a jam release lever ensures easy clearing. With that, the device provides continuous up to 2 hours operation. Some users claim it may emit unpleasant smell. Thanks to the compact design, you can take it with you wherever you go. Whereas its efficiency makes it perfect for use at the office, in school or at home. This light-weight and compact model will provide you with really fast warm-up and lamination speed to save your valuable time. Whereas, a wide range of pouch sizes will let you laminate different items. If you are not looking for something complicated, the Texet LMA4-V will be a good choice. It is designed to ensure simplicity and quality at a cheap price and will suit occasional office work and home use. GBS is a company with a long history and a huge amount of experience in sales. Nowadays, we can find their goods in more than 100 countries all over the world. GBS’s products are aimed at busy people to help them organize their daily schedule and boost the productivity whether they work at home, at school or at the office. So if you are looking for something of an exceptional quality that will meet the requirements of even the most demanding clients, GBS will help you with that. The HeatSeal Proseries 4000LM Laminator by GBC is a reliable and sturdy device for commercial offices and home use. The laminator features a four-roller technology that allows laminating up to A2 paper size making your documents evenly smooth and glossy. It can be anything from business cards to big posters and signs, as the machine's throat is 494mm wide. Just feed your item in to be pulled through the rollers and wait until it comes out. The result will be a perfectly sealed document with no wrinkles in a protective cover. If you know that the document you are going to laminate is very sensitive to heat than the cold lamination feature will help you safely seal it without causing any damage. You can set the temperature of lamination that depends on pouch thickness and a type of paper you use. The special slider will change the temperature based on three pouch microns for more flexibility: 75, 125 or 250. In addition, the laminator can process the pouch up to 0.5mm thick only. What thickness to use is determined by how often you are going to use the document. For permanent use opt for a thicker pouch, which is actually more expensive, whereas a thinner one will suit temporary solutions better. There is one more thing you need to consider and that is whether it will be easy to fold an item or not; since some documents require a rigid cover. To set up the laminator plug it in and turn on the switch. When LED light is read it indicates the warm-up process. In less than 2 minutes the light will turn green showing the laminator is ready to be used. Plus, the machine is capable of reaching the laminating speed of up to 470mm per minute. Which is a nice choice if you need to quickly seal your documents. All in all, the GBC HeatSeal Proseries 4000LM laminator is doubtlessly a really handy device for up to A2 size papers and is easy to use even for absolute beginners. 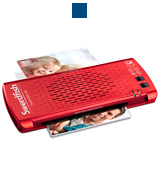 The Swordfish 40186 Laminator is a well-priced option for both home and office use. It combines a stylish design on the outside and smart technologies on the inside. The laminator is available in two colours – metallic red and metallic blue - that make it look very attractive and modern. 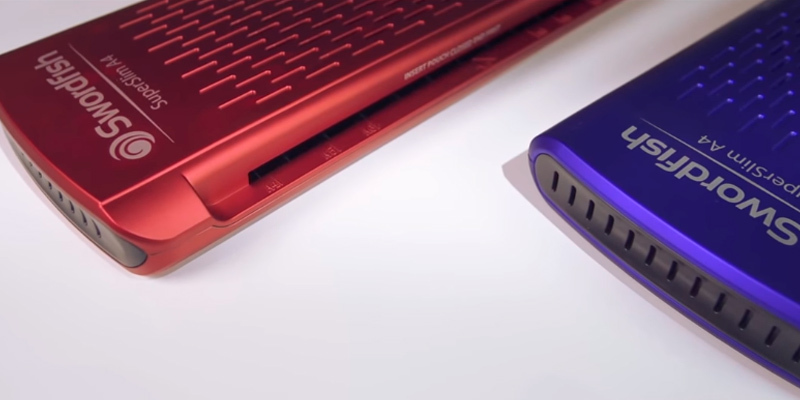 Its super-slim and lightweight body makes it quite portable, allowing you to take it anywhere you go. If you are going to use it at home, you can place it on a worktop next to your personal computer or a laptop. Plus, it is convenient for storage when not in use. 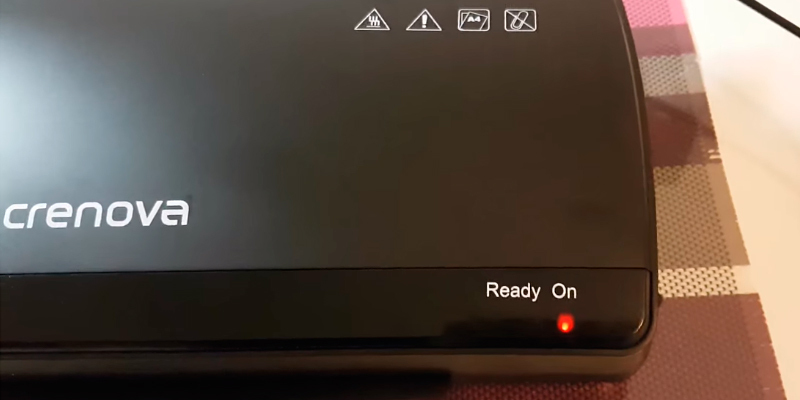 To make it easy, all the control options and indicators of the laminator are located on its top right side. 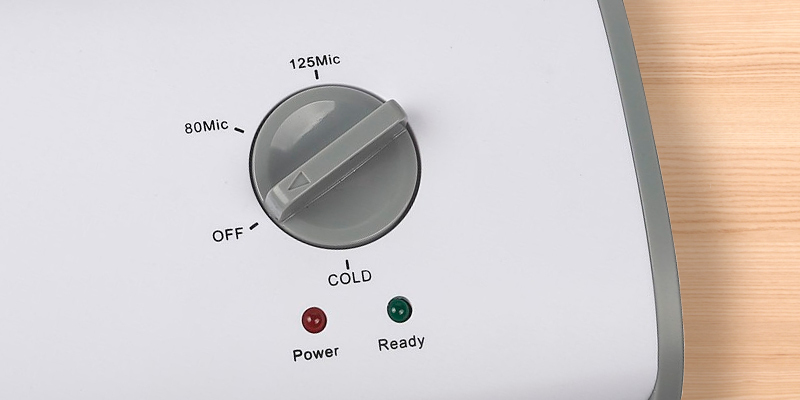 They include the on/off button and the button for switching between cold and hot modes as well as two LED lights. Once you switch on the device the Power light turns red. 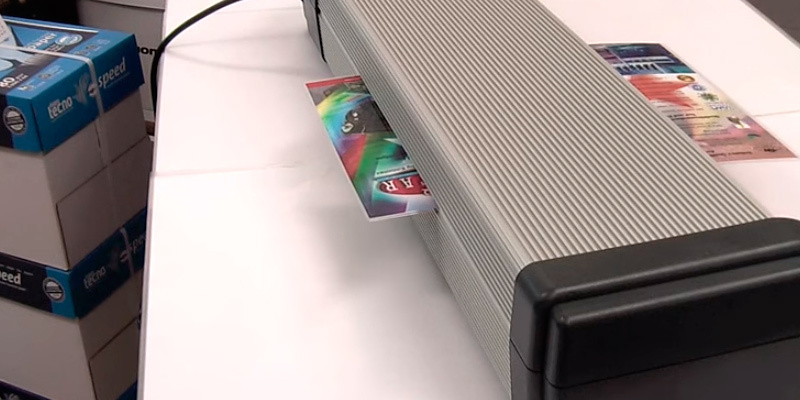 The laminator warms up in just 2 or 3 minutes and the LED light changes into green to show that it is ready to work. In the middle of the upper face, there is one big cooling vent to release hot or cold air. 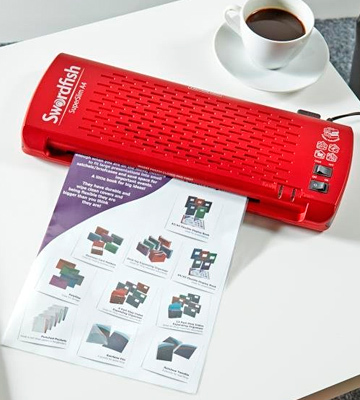 The Swordfish Laminator is able to process various documents, photos, teaching aids or some memorable drawings up to A4 size. It will keep them protected from light, water, wrinkles, grease, or fingerprints prolonging their life. 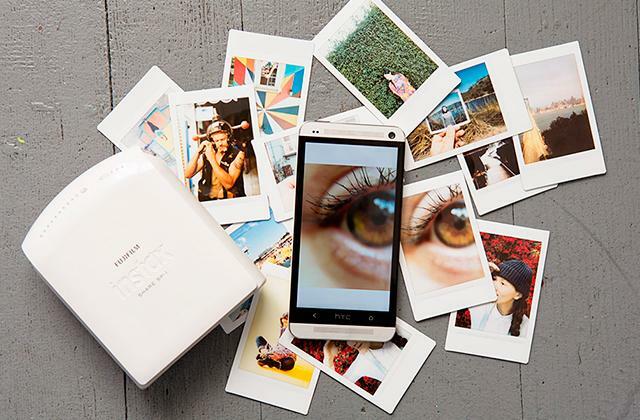 Owing to the glossy finish of a pouch, your photos or drawings will shine with brightness. If it is handouts, like flashcards, for example, you can make a fun writing on them with the help of a special pen and then easily wipe it after every use. To ensure a good-quality lamination the Swordfish 40186 features 2x75  and 2x125  micron pouches. Therefore, you can choose between basic and advanced protection. What is more, the machine features a four-roller, jam-free technology that can be found mostly in professional laminators. The first two rollers are hot. They heat up the pouch and melt the adhesive inside, whereas the other two rollers are cold. They cool down and smooth the pouch simultaneously ensuring a smooth and hassle-free result. For work with heat-sensitive papers like documents or even old photos use a cold lamination feature to protect them from heat damage. The rollers don’t heat the pouch layers but press them up. In this case, use special pouches for cold lamination. 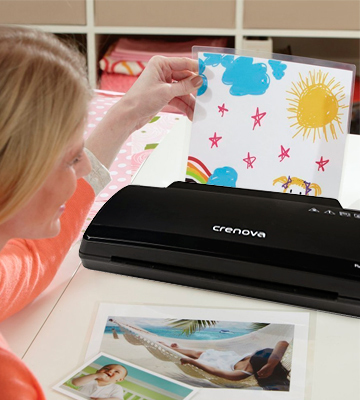 If you want to protect your often used documents from wear and tear or make your most memorable photos last longer, then the Crenova LT01 Laminator will come in handy. Owing to its compact size and black finish, this device will perfectly fit almost any interior whether it is your home or office. 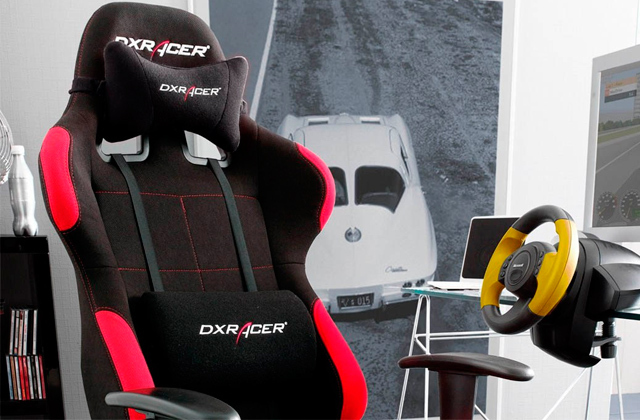 You can place it near your computer on your desktop and enjoy its high performance. 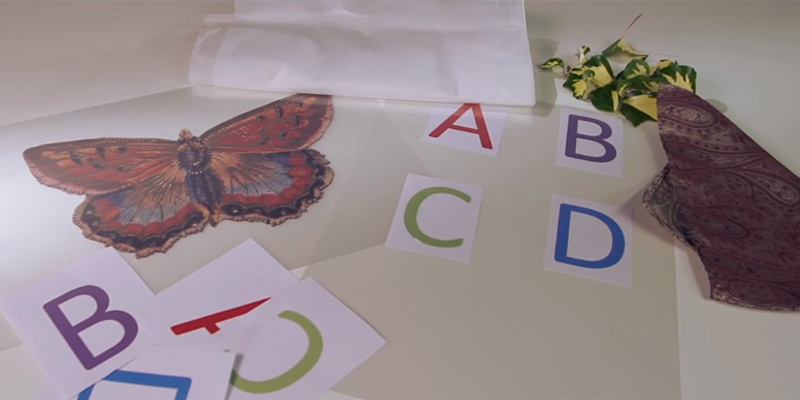 With the help of the Crenova laminator, you will be able to create plenty of things from fun learning flashcards for your kids to project planners for work; it will just require your imagination to bring all the ideas into life. 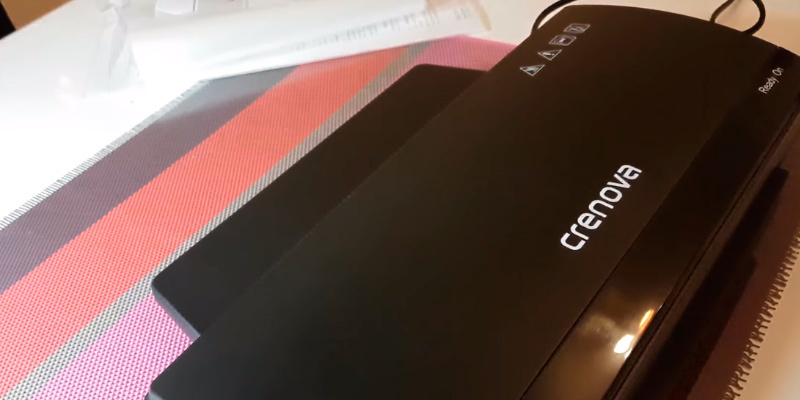 Apart from being nice and compact, the Crenova LT01 Laminator provides a rather fast operation as it takes only 3 to 5 minutes to warm up and about a minute to process A4 paper sheet; as a result, you shorten the time of lamination and can spend it on other no less important things. 2 LED lights on the front side of the body will indicate the status of the machine, therefore, you will know when to start the lamination and when it ends. However, if you intend to use it at offices with a busy schedule, it may not fit all the requirements of an office life. The laminator comes with a two-roller system aimed at both hot and cold lamination and provides enough pressure to safely seal your documents inside. The only thing you need is two types of poaches for that purpose. As for their size, they can choose the maximum width of 230mm (A4 paper) with 150 to 250-micron thickness whereas the maximum thickness of a laminating item can reach up to 0.5mm. When the document is sealed remove it immediately and let it cool down. Bonsaii a well-known company that produces the best quality machines for international businesses and home use. Their products are famous for both good performance and durability. 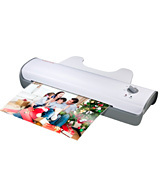 And the Bonsaii L307-A A3 Laminator is another great example of that. 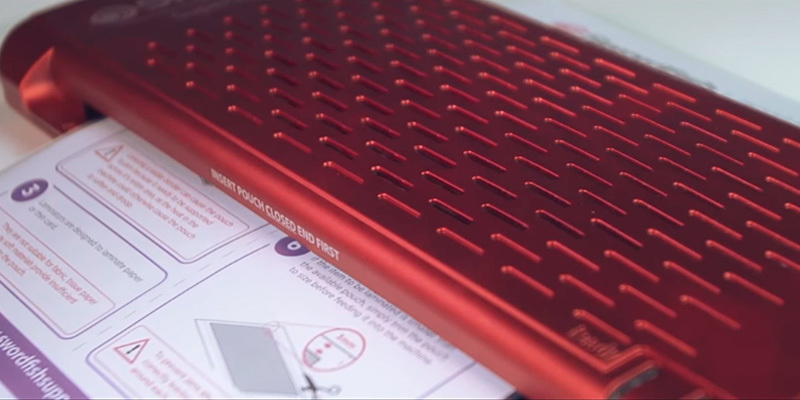 This smart device can laminate at home, at the office, and even in a classroom. Thanks to its compact design, you will be able to save your space on the desk or an office table organizing the worktop in the most comfortable way. Plus, its slightly curved design in a grey finish will add a fresh look to your interior. 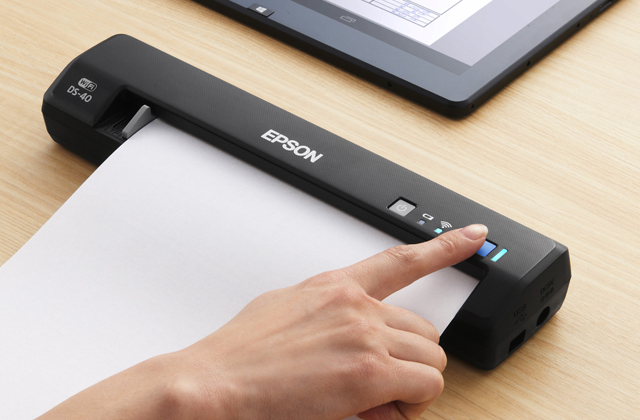 Don’t limit your imagination with the lamination of valuable documents only, since the Bonsaii L307-A A3 allows creating so many things that you couldn't even think about, for instance, flash cards for school, recipe cards and paper games for home use, flipcharts and advertisements for office. The lamination will not only make these entire objects look nice and glossy but also protect and preserve them from damage. However, be careful when laminating such important documents as birth certificates, properties, mark sheets and so on, as they may not be accepted by banks and some government entities. Just keep them safe and unlaminated far from liquids, kids, and other potential dangers. 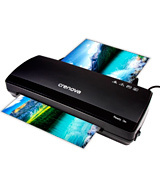 The Bonsaii L307-A A3 Laminator includes only the best features to boost the performance. To begin with, it warms up within 3 or 5 minutes. The ready light will indicate when the device is ready to work. Besides, the laminator is quite efficient, as it can process 250mm of a pouch per minute, and achieve up to two hours of continuous work. Next, it is capable of laminating the A3 size and type of documents. 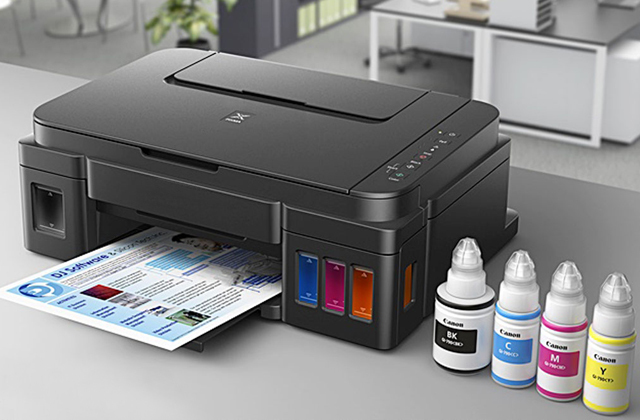 As it can cover the working area of 490mm wide, it doesn’t matter whether you are going to laminate letter-size documents, business cards, legal-size paperwork, or photos. The device will be able to provide impeccable performance with all of these items. Furthermore, it is possible to work with either 80-micron or 125-micron pouches. There are two more distinctive features of the Bonsaii L307-A A3 Laminator to consider. 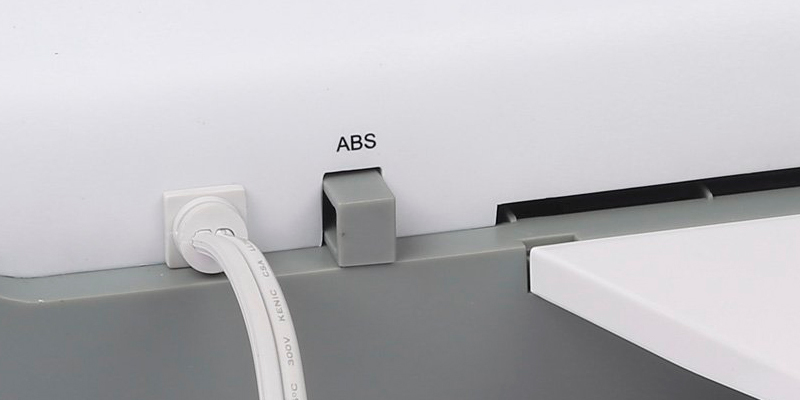 In case your document was jammed, there is an ABS button on the back side of the body. 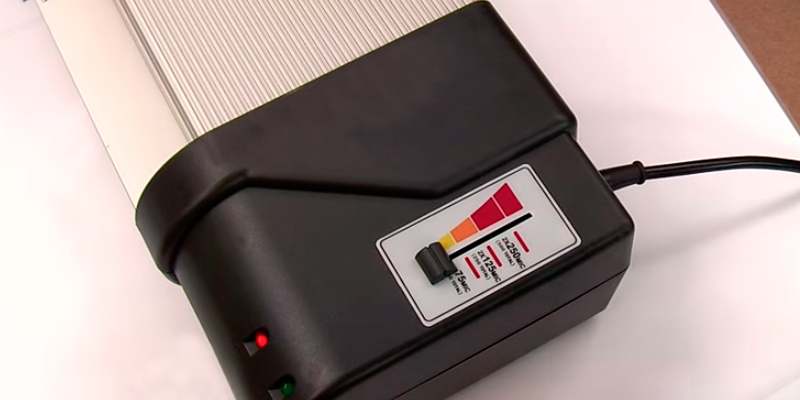 After pressing it, the laminator will easily clear the damaged item without causing any hazard to your document. But what if your document is heat-sensitive? Bonsaii has foreseen that too and equipped their device with a cold lamination function. With this feature, safe lamination has become not just a dream but a reality. 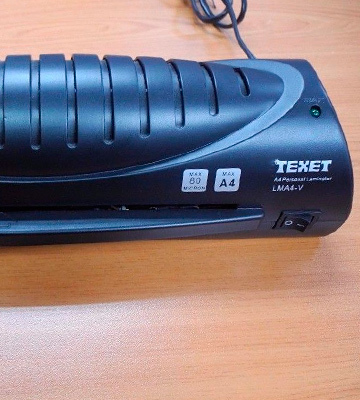 The Texet LMA4-V Laminator comes in a classic black design with a slightly curved body that makes carrying the device extremely easy. For more convenient operation, the model is equipped with a rocker switch that has On and Off positions. It’s located on the right side of the body below the light indicator that changes from red to green to let you know when it is ready for work. All in all, it's a user-friendly assistant for both home and occasional office use at a fantastic price. Although the LMA4-V Laminator may not seem very complicated, the device definitely does the job. With the help of its two-roller system, it is suitable for several document sizes. 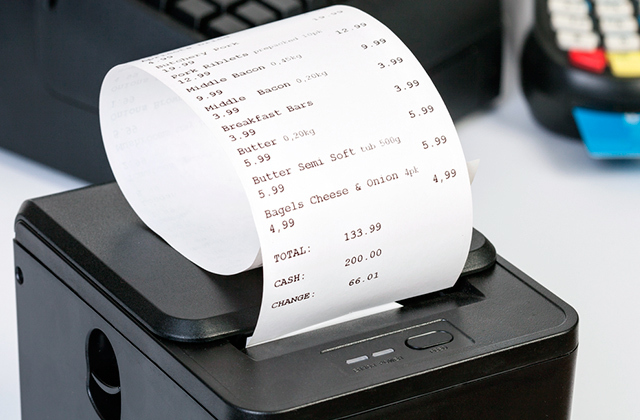 You can laminate everything from a credit card to an A4 paper. With the ability to support lamination thickness that is not more than 0.45mm and maximum 160-micron film, it provides durability and protection from external hazards. 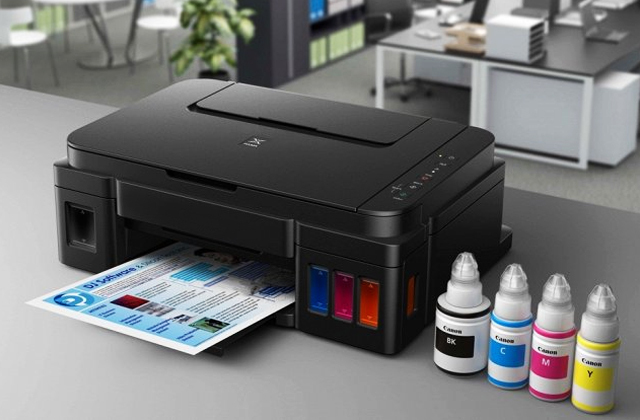 In general, the device allows laminating various certificates, your children drawings, invitations, calendars for home, computer prints and much more. Due to its fast warm-up time and a free starter kit, you will be able to begin lamination in less than 5 minutes at a speed of 300mm/min. 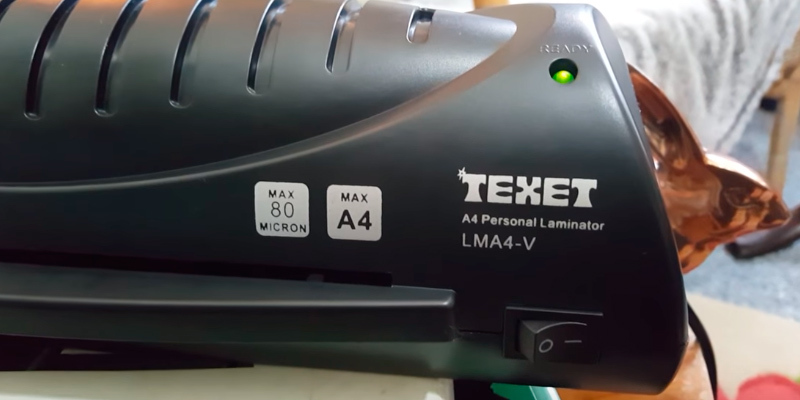 As it was already mentioned, the Texet LMA4-V Laminator is so simple that everyone from a novice to a professional can use it. There is no need to select a temperature or speed as the device will do it for you. Just choose the item for lamination as well as the right pouch and start the process. However, mind that the laminator doesn’t have a release button. Therefore, in case of jamming wait until the device cools down and slide the lever at the back of the body to gently pull your document. Probably you would like to know what is Texet? What do they do? And can you trust them or not? We can assure you that they are a reliable company with a long experience. Texet Sales Ltd is a part of the Hira Company Ltd established in the UK in 1958. However, their offices are not only in the UK but also in Europe, China, and Vietnam. The company has gained the reputation of the biggest online supplier that manufactures, imports, and distributes its products to the well-known retail and trade stores. Moreover, they not only sell Home/ Office, Digital Media, Heating/Cooling, Educational products and so on, but also offer a range of services connected to Logistics, Sourcing, Quality Control, OEM, and Design. In the end, their success is based upon the ability to provide people with what they really need offering only reasonable price and excellent quality. What is a Laminator? Pouch laminators are special laminating machines that are used for wrapping a paper or carton into a transparent, thin and somewhat flexible plastic layer. Usually, it’s done to save the paper from folding, tearing or to preserve the print on documents from the exposure to dirt or humidity. Lamination enhances the durability of a paper sheet and overall improves its look. Some laminators have industrial application, like wrapping a food container with a special coating. However, our attention in this review is drawn towards the pouch laminators for papers and photos that you might want to get for your office or house. The pouch itself is a two-layered transparent polymer film with a special adhesive material on the inner sides. 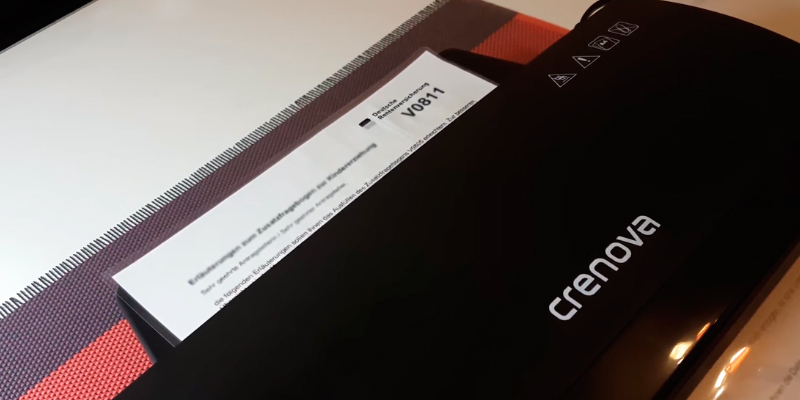 You put a paper tightly inside a pouch, then put this wrapping into a laminator. Finally, after running through the cylinder rollers, this pouch becomes fully sealed. 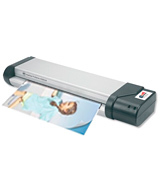 That way you can laminate documents, posters, postcards, letters or even photos. 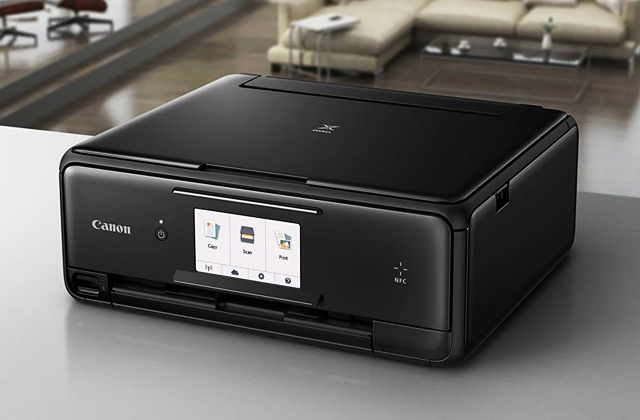 Speaking of documents, take a look at our review of wireless printers. 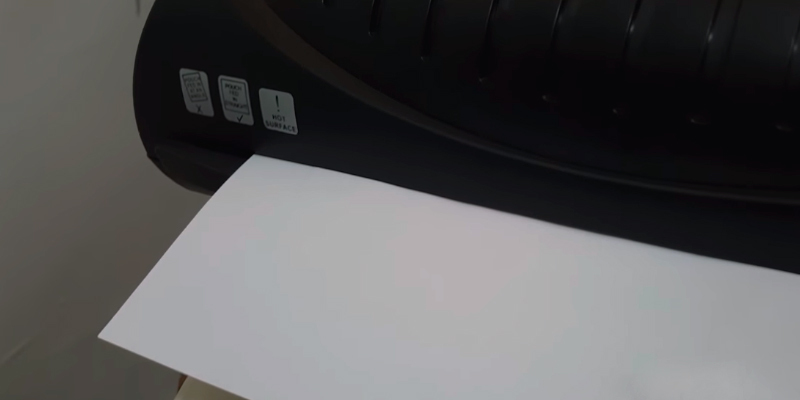 After printing out a sheet of paper, you can laminate it right away to keep it protected. The first step before buying a laminator is to sort out what document sizes you will use it for. Maximum Paper Width is usually given in inches. Remember that A4 papers have a width of 8.3", A3– 11.7", and A2 – 16.5". Of course, you can use the A3 model for laminating A4 or smaller sizes. The next thing to look for is a Maximum Pouch Thickness. The standard operating range is from 3 up to 10 mil thick pouches. The thicker the pouch is, the sturdier and more durable the lamination will be. Please note, pouch laminators are designed for sealing paper-thick materials and might not cope with a stapled stack of papers or with a very thick piece of cardboard carton. Don’t forget to take a look at Laminating Speed. This value represents how many standard A4 papers can be processed in a minute or in10 minutes. On average, a laminator can seal around one A4 sheet per minute. It’s recommended to laminate only 10-20 sheets of paper at once on many models. Sometimes, even less than that. Of course, you can do a little more, but during the process, the rollers become so hot that they require being cooled down from time to time in order to not overheat and not melt the plastic body away. 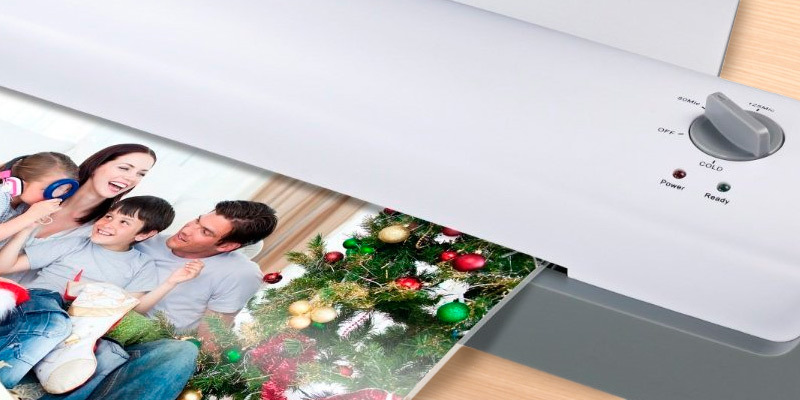 If you or your boss always wants documents to be laminated asap, keep in mind that rollers also require some Time to Warm Up. There are models that can get hot enough to start lamination after mere 30 seconds. 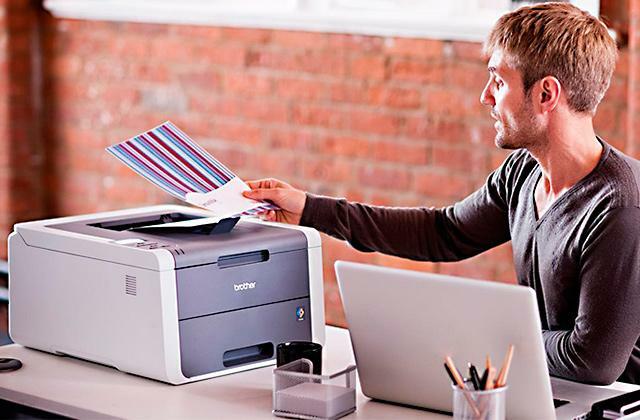 Others may warm up longer, but process two or even three A4 sheets per minute. Try to find the balance between warm-up time and lamination speed before you make a final decision. Some models can work as a Cold Laminator. In such device, the pouch layers are sealed together with the rollers by a sheer force of pressure, that melt together adhesives on inner sides. 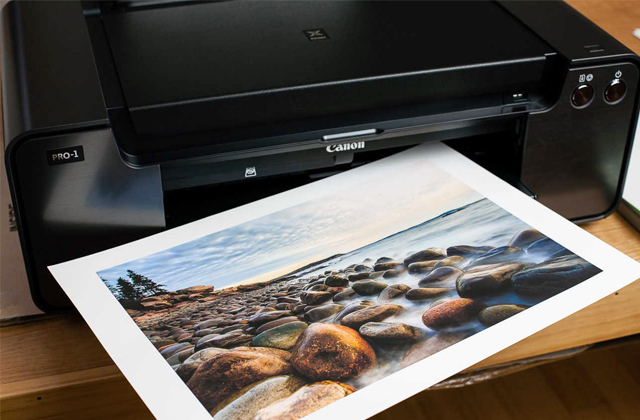 This method is used mostly for photos or other temperature-sensitive materials, as the heat may bleach out the colourful prints. Still, heated lamination is overall more effective. The last but not the least, take a look at the Additional Features that will make the process way more comfortable. No matter how much manufacturers try to disclaim it, in a long run, rollers always become dirty due to adhesive leftovers and dust. Therefore, a pouch may eventually become stuck in the laminator, just like a paper in a printer. Yet, there’s no need to call an IT-guy each time when this happens. Most of the modern models have either a special button/lever to unjam the rollers, or a reverse option to drive the paperback. After that, you might want to clean the rollers or just try again. The auto shut-down option is a welcome addition, as a daily office life can be very distractive. A temperature regulator may come handy if you work with temperature sensitive materials, such as thin paper, some types of carton or photos. A: It’s one more name of the pouch thickness that means one-thousandth of an inch. Q: What is the proper way to feed a laminating pouch into the machine? A: Always insert a pouch into a laminator sealed edge first. To line it up correctly follow the indicators on the front side of the machine. Q: What is a carrier? A: A carrier is a folded in half cardstock covered with silicon on one side and is used for placing a pouch before it is fed into the laminator. It is usually included in every set of pouches. In case you lose one, you can buy a new carrier from your supplier. The carrier prevents a pouch from scratching as well as excess adhesive and doesn’t let it wrap around the rollers while lamination. However, not all machines necessary require a carrier. As nowadays many manufacturers equip their laminators with silicon rollers that perform the same functions. Q: How to avoid my documents from having air bubbles? A: First of all, check the compatibility of the chosen pouch thickness and your laminator. Next, make sure that the laminator has completely warmed up. The green LED light will help you with that. And finally, look at whether your laminator works on the right setting for your pouch. Doing all that will guarantee you a nice and smooth final result. Q: How many rollers should I choose? A: The more rollers your laminator has the better quality your laminated items will be. 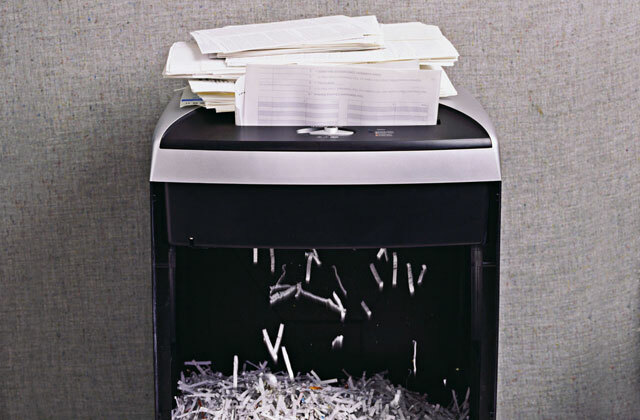 Plus, if you have, for example, four rollers, your documents are far less likely to be jammed. Therefore, if you have enough money, pick a laminator with more rollers to get the best outcome. But if you are on a budget, there are plenty of decent two-roller laminators to satisfy your needs. Q: Is there any difference between a laminating pouch and a laminating film? A: They are eerily similar but still feature some differences between each other. A laminating pouch and a laminating film are made of a polyester and adhesive, but a pouch contains more polyester to adhesive than a film, which makes it stiffer. Therefore, it is more expensive than a film. Q: What can I laminate? 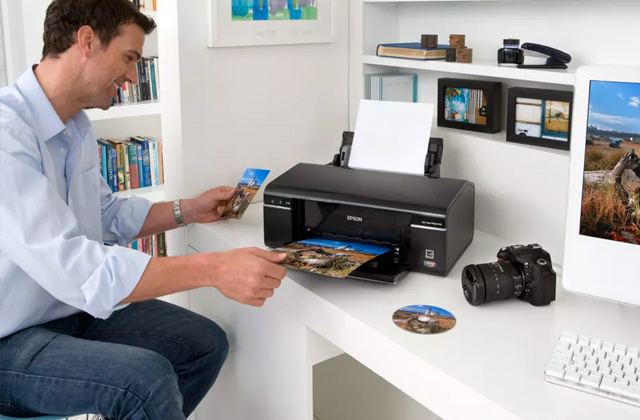 A: You can laminate any kinds of paper with printings or drawings. It can be anything from menus, single month calendars, and posters to important documents and memorable photos. 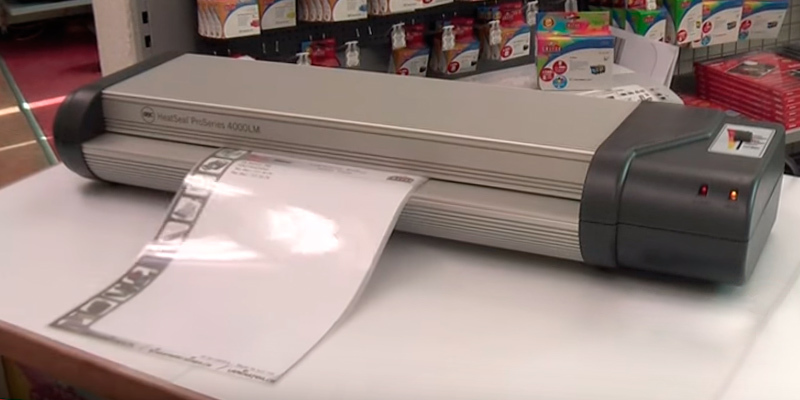 There is just one thing you need to decide on before buying a laminator and that is the size of the items you are going to seal. Knowing that you will be able to make a right choice and achieve the desired outcome. 1. Melissa King How to Remove a Stuck Laminate Sheet From the Laminator Machine, Azcentral. 2. Peter Mason A Buyers' Guide to Laminators And Laminate, Editorialtoday. 3. Pouch Laminator, Wikipedia. April 20, 2016. 4. How to Buy a Laminator, eBay. March 14, 2016. 5. DAV Principal warns against lamination of documents, The Pioneer. April 20, 2017. 6. Melissa Lewis Can You Laminate Two Times? hunker. 7. Stanley Gallor Protect Your Essential Documents With Laminating Equipment, streetdirectory.com. 8. R. Sujatha Lamination of documents has risks too, The Hindu. May 13, 2016.